What Does it Take to be the World’s Best Airlines? As a long-time airline industry, professional and now as a consultant to airlines worldwide, I have always been fascinated by how an airline gets to be rated the BEST and more importantly how they keep that ranking year over year. Air New Zealand is being honored for the fourth consecutive year for its record-breaking financial performance, award-winning in-flight innovations, operational safety, environmental leadership and motivation of its staff. These factors have stamped the airline as an industry trendsetter. "Quite simply Air New Zealand is an airline of first choice. And given the airline's location and the country's size, its performance is even more remarkable,” said Airline Ratings.com Mr. Thomas. "This outstanding performance has seen Air New Zealand catapult to the top tier of the industry in a host of areas." Air New Zealand Chief Executive Officer Christopher Luxon says being recognized once again by the industry is a real highlight for its people in a record year of performance. "Above all, the award is a testament to the talented team of people who make Air New Zealand great by putting customers at the heart of everything we do." This award has been won by Etihad Airways for the third year running because its First Class still leads the industry. "Etihad's commitment to excellence appears to know no bounds. The airline's new First Class and Business Class offerings are quite stunning and have set the bar even higher in luxury travel," said Mr. Thomas. "In what is an incredible achievement in just over 13 years Etihad Airways has stamped itself not only as a major force in the airline industry but a trendsetter." This year Virgin Australia has taken out this much sought after award with its "The Business" suite which is more First Class than Business Class. The major plus for this product is the bed with its triple-layer seat cushion supported by a hammock sub-frame which guarantees a really good sleep. There is also ample space for gadgets and shelf space to place one's laptop while having dinner. Air New Zealand has won Best Premium Economy once again for its lead in this class. The airline is continually innovating in all cabins and this has resulted in higher yields as passengers upgrade their travel experience. "Air New Zealand has shown better than any other airline that passengers will pay more if the product is right and priced accordingly. Its efforts in this space are a lesson to all airlines that passengers want better and are prepared to pay." Singapore Airlines picks up Best Economy Class. The airline has always been a leader in the economy class product going back to the 1960s when as Malaysia-Singapore Airlines it introduced free headsets and free drinks to economy passengers. And the innovation has never stopped with the airline amongst the first to offer seat back videos to economy passengers in the early 1990s. Best Cabin Crew award has been won by Virgin Group airlines - Virgin Australia, Virgin Atlantic and Virgin America. "The cabin crews at Virgin Atlantic and Virgin America treat every passenger whether in row 1 or at the back of the aircraft as a special guest," said Mr. Thomas. "Their commitment to their passengers is outstanding and is a benchmark of what cabin service should be." Qantas has taken out this award for the third year running on the back of the airline’s domestic offering which is the world’s best. Its commitment not only to premium dining but to economy travel which makes up 90 per cent of passengers is well ahead of the pack. Another win for Qantas. Its lounges have become an Australian air travel institution and Qantas' overseas offerings are also an industry benchmark. Qantas Lounges not only provide complimentary food and beverages the airline was a leader in installing showers. "The Qantas Lounge is the place to be for the savvy traveler," said Mr. Thomas. Emirates, which was one of the pioneers of IFE, wins AirlineRatings.com Best IFE award. The airline has an IFE product that few airlines equal. Airlineratings.com editors noted that Emirates was one of the first adopters, particularly for economy class. By 1993 all the airline’s seats were fitted with IFE. Emirates ICE has a host of features. It allows you to follow the progress of your flight, or take in the view from the aircraft's external cameras. You can keep in touch with live business, news and sports headlines. As a communication tool, it provides phone, SMS or email capability. For entertainment, there are 600 channels of premium entertainment. In an era where domestic offerings are becoming leaner Qantas's domestic in-flight product is a global standout and in many cases, matches or exceeds international service. Qantas offers complimentary beer and wine between capital cities after 4pm on weekdays and on transcontinental flights from lunch time daily. The airline has recently completed the rollout of its lie-flat beds on its A330 fleet which perform most of the transcontinental services. AirlineRatings.com Best Long Haul Airline awards have been won by: Etihad (Middle East/Africa), Singapore Airlines (Asia/Pacific), Virgin Atlantic (Europe) and Delta Airline Lines (The Americas). These four airlines in their regions set the benchmark. There is no question that the Low Cost Airline market is the most competitive and also the most rapidly growing. Thus competition to be the best is a challenge of balancing product with low prices. AirlineRatings.com winners are: Virgin America (The Americas), Scoot (Asia/Pacific), Kulula.com (Africa/ Middle-East) and Norwegian (Europe). The four airlines are leaders in their markets with innovations and they are consistently delivering an excellent value proposition. UK based Flybe has taken out this award for delivering a first-class experience on regional routes around the UK and Europe. The airline operates more UK domestic flights than any other airline and flies 7 million passengers a year on 149 routes, from 62 destinations in 9 countries. Its hubs are Manchester, Birmingham, Paris, Dublin, Amsterdam and Exeter. This has been won by Garuda Indonesia in recognition of the dramatic turnaround by the country's national carrier. Over the past five years, the airline has made enormous strides to improve its in-flight product, operational and fiscal performance. It has renewed its entire fleet, been approved for European and US operations and is now considered a world class operation. AirlineRatings.com editors were unanimous in their praise of the professionalism of Garuda Indonesia's operation and the speed of the airline’s turnaround. Having reviewed Airline Ratings.com’s top picks, it is evident to me that being the BEST airline takes on many different shapes and forms. Being the Best means airline leaders who are innovative, competitive, determined and progressive. Airline leaders who acknowledge their people for their continued success stand out even more. Airline customers today are far more discerning, savvy and informed when it comes to choosing an airline. They are much more cognizant of what constitutes great value for their travel dollars and when they decide on supporting one particular airline brand, they go all in. All to say, this does not mean that the hundreds of other airlines operating today are not doing a great job because I think they are, it just means they need to work harder to be rated the BEST. 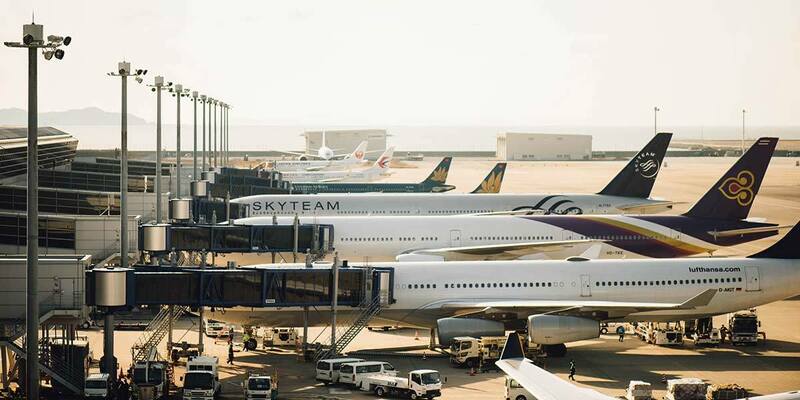 Jennifer Grant International welcomes the opportunity to work with airlines, airports and ground handling companies who are striving to be the BEST.